A trash-out consists of literally taking the trash out of abandoned or foreclosed homes to prepare them for resale. We will photo document the exterior of the subject property. We will photo document the front, the sides, and the backyard of the subject property. The photos will be used to document the condition of the property, the property lines, the debris or the junk that is on the property. 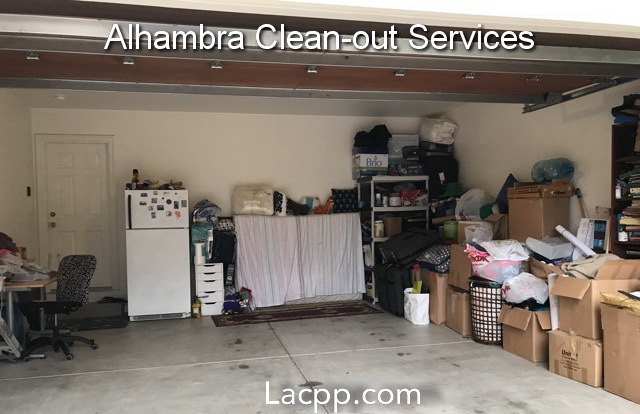 Alhambra Property Preservation used the cubic yard method to measure the debris, the amount of trash that will be removed from the subject property. We will photo document the interior of the vacant REO property. Each room will be photo documented. 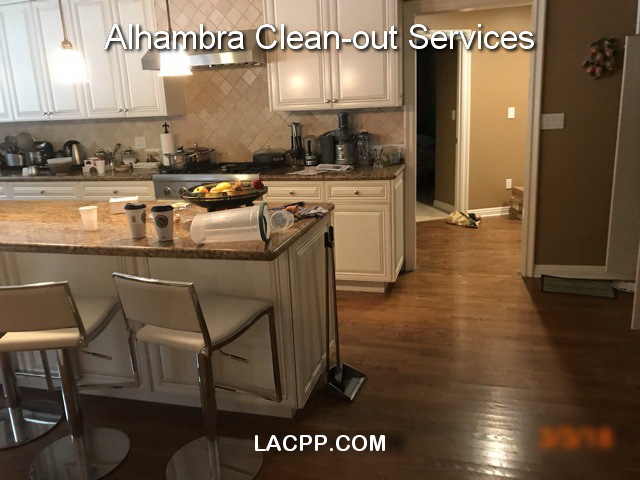 The photos will be used to document the condition of the interior of the property and to document the debris removed has no value and the amount of debris that will be removed from the property. The garage, the attic, the basement and any outbuildings such as sheds will also be photo documented, for the condition of the property and that the debris removed has no value. After all of the debris has been removed from the interior of the property, the exterior, interior including, the attic, basement, garage, common area, family room, dining room, kitchen, bathroom, bedrooms, stairways, hallways, front porch, back porch, entryways, driveway. The Bank Owned REO property will be photo documented, showing the property free of all the debris, junk, and that is was hauled away to the dump. A vacant REO bank owned property that is free of all debris is more presentable to potential buyers and will demand a higher price than a property that is full do debris. 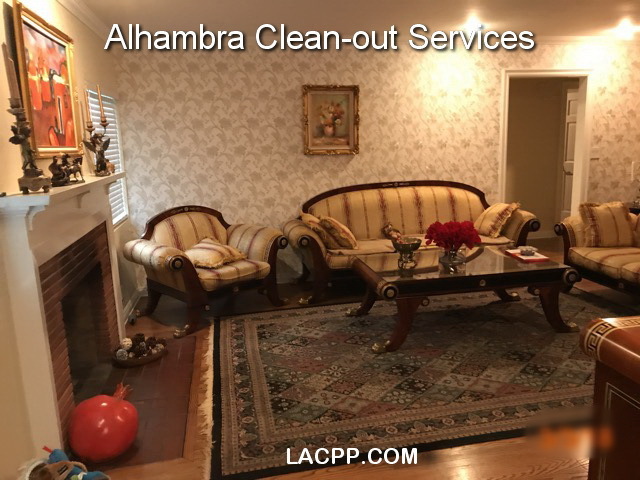 A property that has been trashed out is safer than a property that is full of debris and hazardous material. A property that is full of debris is also a nuisance to the neighborhood. Removing a few truckloads of debris from a bank owned property can raise the value of the property by several thousand dollars. 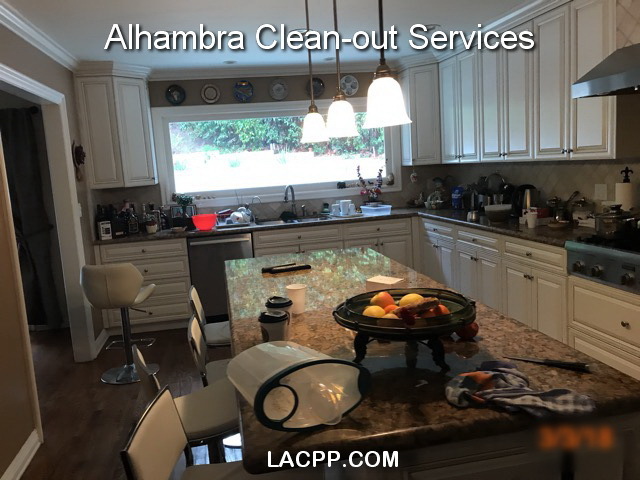 We offer Alhambra Clean out services for REO brokers and agents. We are licensed and insured.